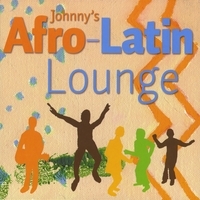 Cheerful melodic instrumental tunes on groovin’ afro-latin beats. 9. Where are you now? It’s quite a few years ago now that I rode my motorbike on the dusty dirt roads around the small village of Toma, Upper Volta. My head was filled with the sounds of the musical heroes of the day, Salif Keita, Sory Bamba, Lokassa. During siesta time the small bar (buvette) next to my house played the same 10 scratchy records over and over again, and I began to notice the guitar riffs of the soukous from Congo, the bluesy feel of the records from Mali, the haunting grooves from Bobo Dioulasso. I decided to buy a few of those records myself on one of my visits to Ouagadougou. I played them over and over, trying to copy the guitar parts. One evening a young guy from the village showed up at my house in Toma, with a guitar! He taught me a lot on the many visits which followed. As I listened to the bands playing in the dance halls of Ouagadougou the desire to play this music myself became stronger and stronger. My wish was fulfilled, years afterwards, back in Europe, as I ran into musicians from Ghana, Congo and the Gambia. In one of the bands I ran into flautist and saxophone player Pieter de Mast, who became a good friend. Pieter studied at the conservatory and moved on to be an accomplished jazz musician. (www.pieterdemast.nl) I stuck to the day job, only playing with a Congolese-Dutch soukous band once in a while in the weekends. Some years later, the desire to leave the beaten soukous track and “do it my own way” gave me the idea for this CD, with cheerful melodic instrumental tunes on groovin’ afro-latin beats. The melodies are mostly played on the flute, by Pieter, or on guitar, by me. The melodies are followed by vamps with flute and guitar solos. In some of the songs Pieter also plays the piccolo, alto flute and soprano saxophone. I’m very much indebted to Pieter for his work on this album. I hope you’ll enjoy listening to this music as much as I enjoyed making it!